Bosch Retro-Fit twin packs, Parallel high-tech spring strips made from Evodium Steel for optimum contact pressure. Pre-assembled adapter for upgrades from conventional and hybrid to flat wiper blades. 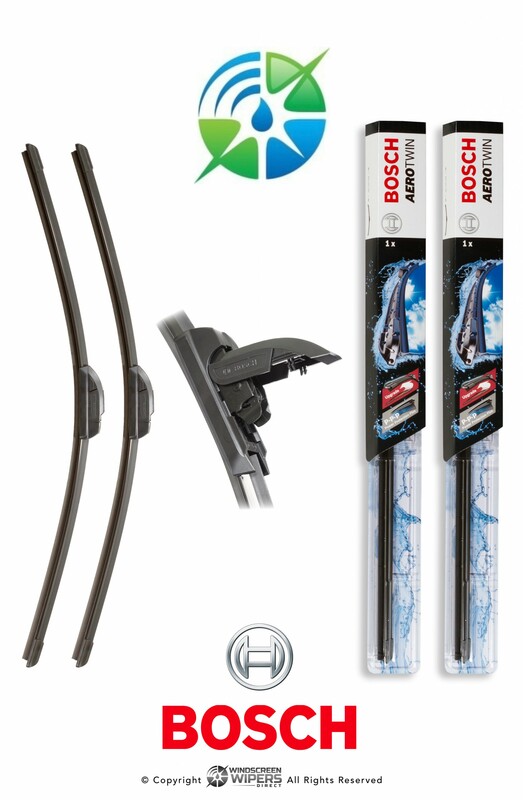 This Bosch twin pack has the spoiler in the center of the wiper blade making them suitable for Left and Right hand drive vehicles.